Lässig bibs made of easy to clean cotton are obtainable in many fashionable styles. They are not only machine-washable, but also very soft and absorbent. Beyond that, the attractive designs and trendy colors offer the perfect combination for feeding the little ones or letting them feed themselves. 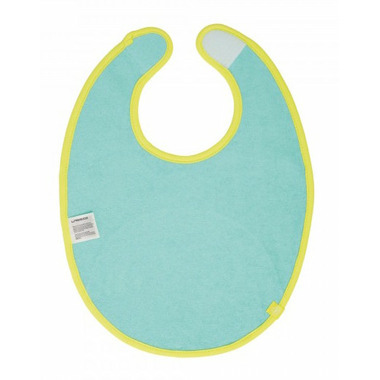 The medium size bib with Velcro® fastener is suitable for infants and toddlers 6 to 24 months old. The bibs fulfill Ökotex Standard 100, Class 1 requirements.